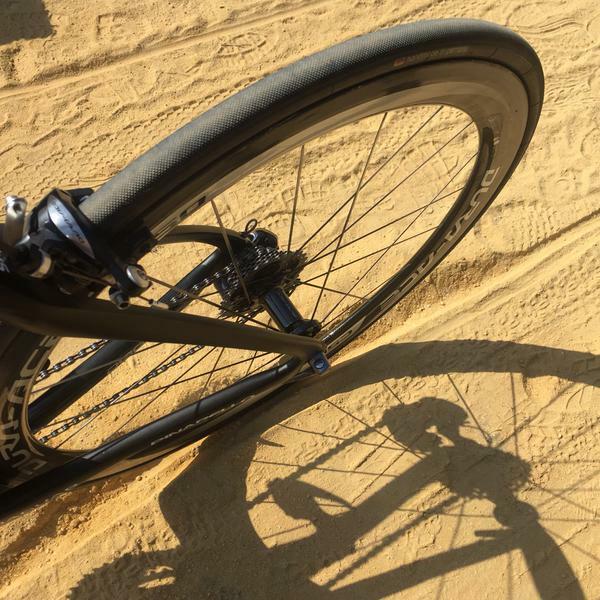 Despite this, the team time trial, being the first stage of the Vuelta a España 2015, you’d be forgiven for thinking it was the end of week one. The media have been all over the Vuelta like ants on a churro this year, not least because recent winner of the Tour de France Chris Froome has decided to attempt ‘the double’. Speculation over his possible form has generated column inches across the cycling community, and the appearance of other Tour de France rivals has compounded the gossip. With Vincenzo Nibali, Tejay Van Garderen, Alejandro Valverde, and the doggedly persistent and always combative Nairo Quintana all signed up to fight for the red iaersey (not to mention the relatively fresh Fabio Aru) it’s certain that this is going to be a hard-fought race. But the media discourse ahead of the event was not limited to who was riding (or, indeed, who was not). A second point of contention has been the ostensible difficulty of the stages lined up for the Vuelta. In particular, stage 11 has one category 2 climb, four cat 1 climbs, and a tidy outside-category climb for good measure, all within a scant 138km stage. The spikey stage profile has been mirrored by raised eyebrows in and out of the peloton, with some calling it unfairly difficult and perhaps even too much to expect from even the pros. However, the likes of Joaquim ‘Purito’ Rodriguez (who is likely to be hunting for stage wins over G.C placing this year) are already looking forward to the serious gradients of the Spanish mountains. And yet, we’re not out of the media scrum yet! Because it can’t have escaped anyone’s attention that this year’s opening team time trial course has been designed as a tribute to Mario Kart. Around a week ago, teams who had planned to hit the beach to test the course found themselves a little too literally taking to the sand — the course begins on a rough concrete pier, but quickly hits a temporary (and uneven) rubber surface, before ditching man-made surfaces altogether in favour of God’s own dirt paths. Riders who found themselves kicking up dust behind them soon took to Twitter to kick up another dust cloud. Indeed, complaints were so frequent, numerous, and vociferous that the organisers decided to effectively neutralise it in G.C. terms ahead of the race; it would be raced for stage winner, first red jersey, and overall fastest team, but no general classification time gaps would be recorded. Now, this is in itself a contentious issue, because it lead to a strange stage one that was hard to predict. Some teams went all out — local lads Caja-Rural put in an astonishing show, and deserve mention, though they were no match for the big boys. Tinkoff-Saxo looked good for the win at one point, with Sagan crossing the line first, and dragging the team in less than a second ahead of the then leading Orica-GreenEdge team. But eventual winners BMC did their Team Time Trial world champion status proud, and rode hard and fast around every corner (and across every stretch of scrubby sand). They took the win with Peter Velits crossing the line first, and securing a smart red jersey for himself on tomorrow’s first true day of racing. Team leader Van Garderen looked delighted, and who can blame him? Bouncing back after a late bout of sickness which probably cost him a Tour de France podium place, Van Garderen must have been pleased as punch to find his legs are in proper working order. But the other side of this uncommon stage was that a handful of teams decided that, if times weren’t being taken for G.C., then it made no sense to do much more than raise the heartbeat a little. These were Europcar, Cannondale, and Sky, all of whom looked to be on a group ride for a pub lunch, and who, between them, took the last three places on the stage. Sky have Froome to ride for, of course, and the decision is in some respects a sensible one. But it does raise this question: what’s more stupid, a race that grants a red jersey but not a general classification time, an opening team (!!) time trial along which you may as well have worn flip-flops and ridden a Segway, or a world class team with a recent grand tour winner who decide not to pedal too much in case they break a sweat? Still, as disappointing as today may have been on a number of levels, it was a jolly old time for BMC, and the real racing ahead will be spectacular, I have no doubts. Tomorrow finishes up a category 3 climb, and, with no time gaps of which to speak, it will be a sought-after stage win. There are a number of candidates, but I personally think Sagan wants to take this. He looked very keen to win (and lead his team in) today, and will be hungry for an early spell in red ahead of the flatter stages. Let’s see what he’s got.